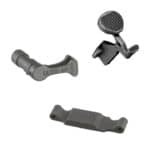 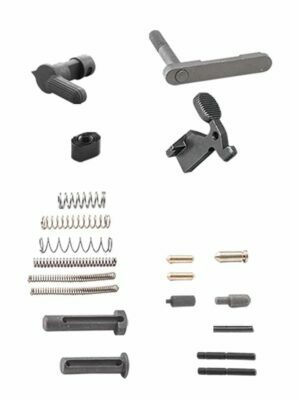 The Lower Enhanc-AR® Kit upgrades your AR Lower Receiver with the Luth-AR Design oversize bolt catch, wide trigger guard and extended selector switch. 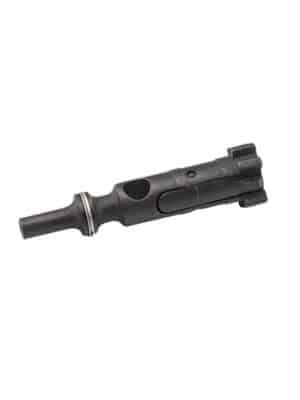 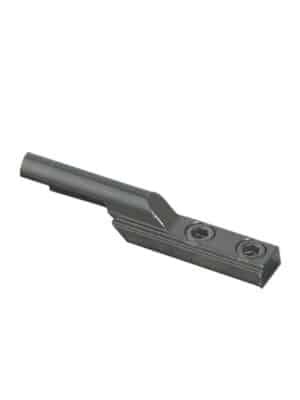 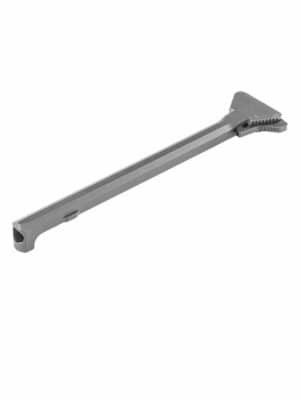 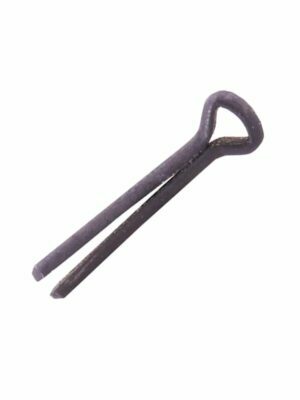 The Paddle® Oversize Bolt Catch allows easy and rapid bolt manipulation. The Switch Extended Safety Selector®. 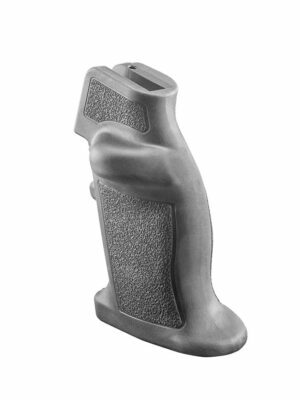 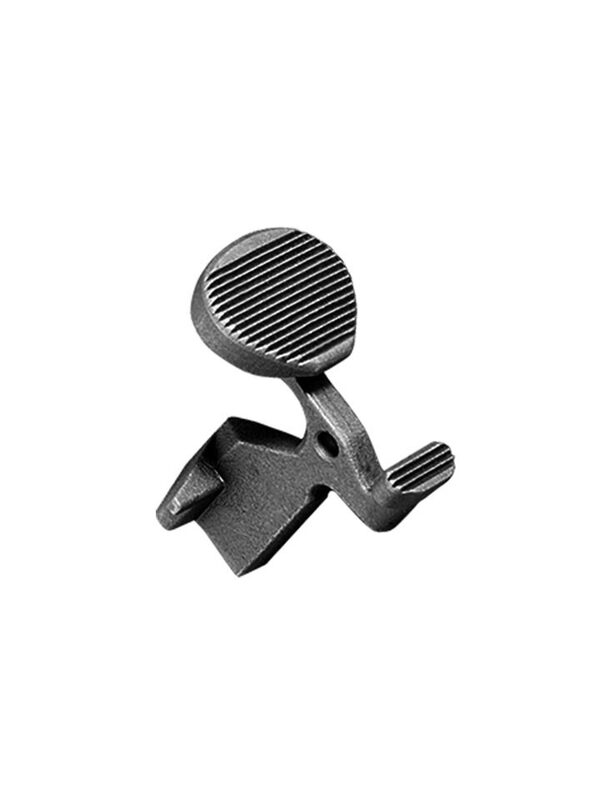 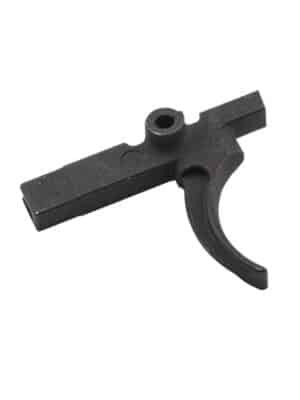 The Wide Body Trigger Guard® with raised platform. 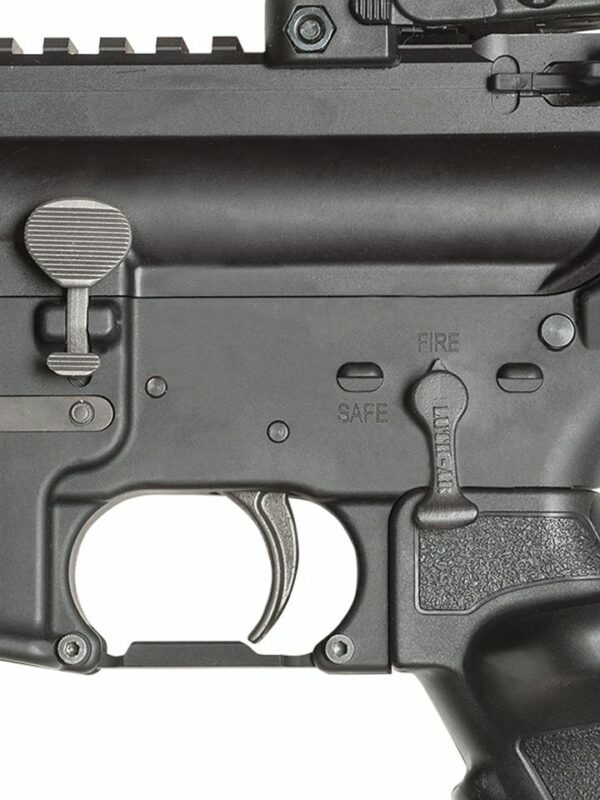 The Switch Extended Safety Selector®. 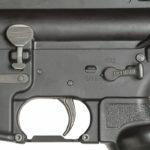 New and improved extended safety selector switch for all AR style rifles, designed to switch from safe to fire in a fast and easy motion. 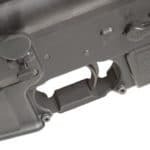 The sleek modern design hugs the receiver for snag free operation. 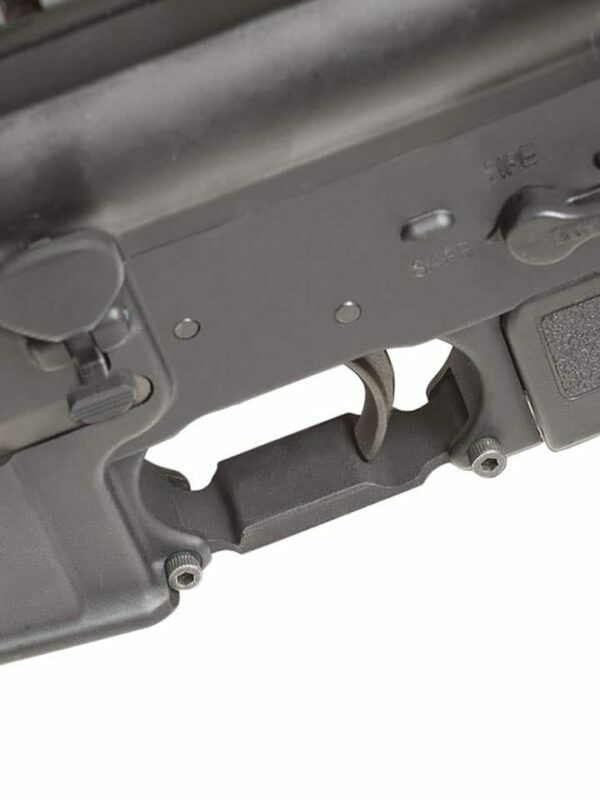 Lightweight and steel strong. 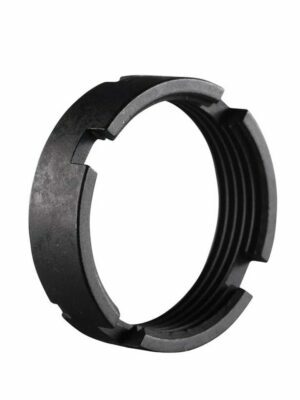 Easy to replace and install. 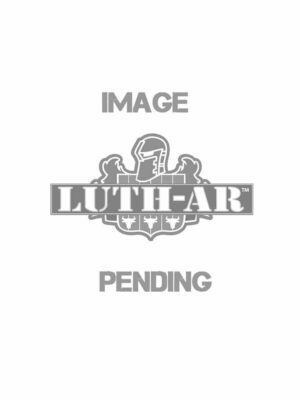 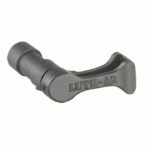 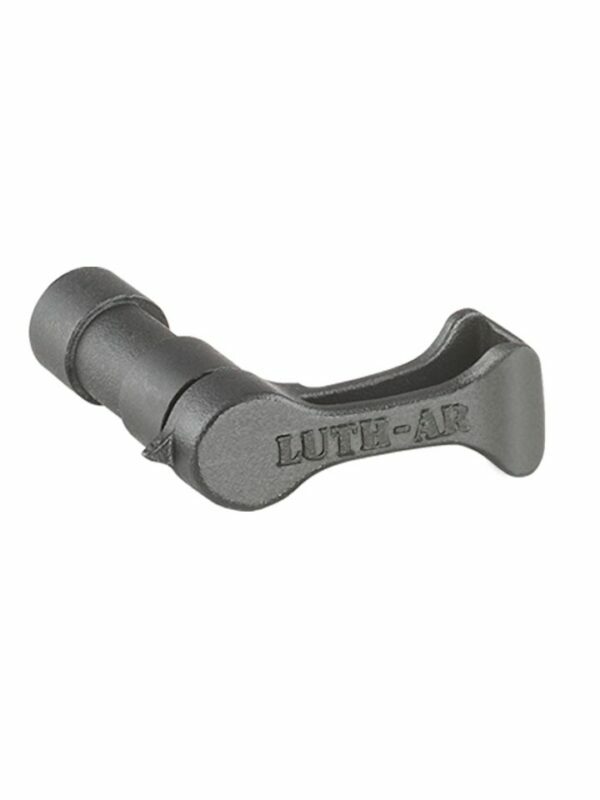 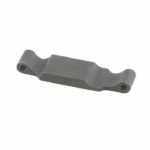 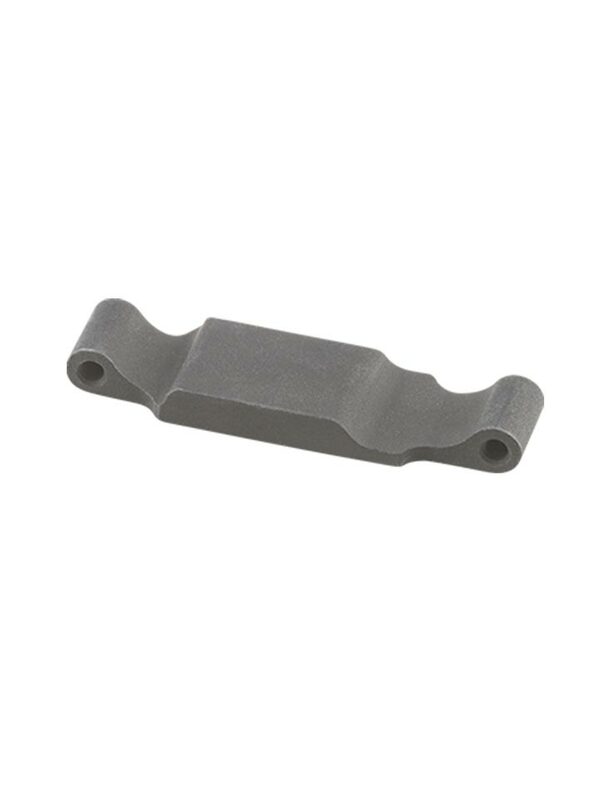 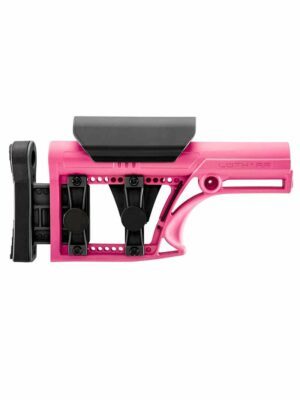 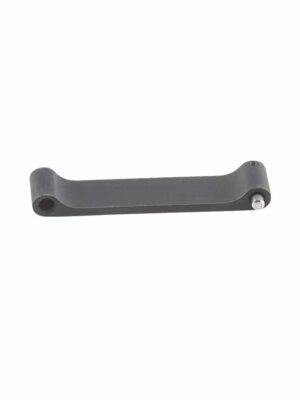 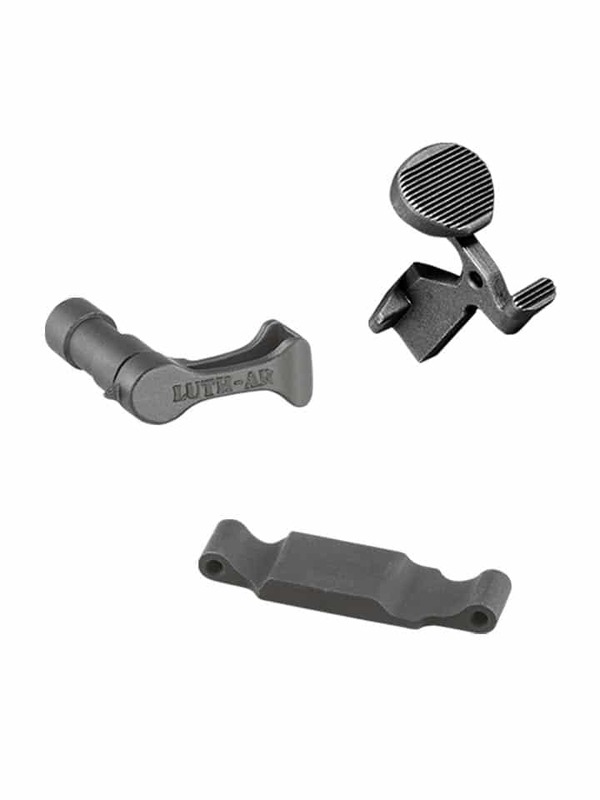 The Wide Body Trigger Guard® with raised platform is another Luth-AR innovation designed to enhance your AR. 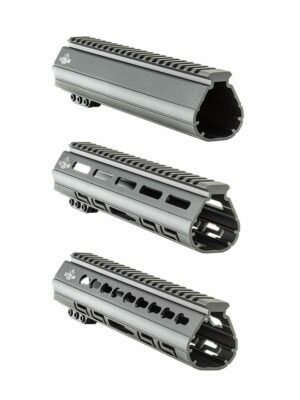 The Wide Body Trigger Guard is 40% wider than your stock AR trigger guard adding rigidity, strength and good looks. 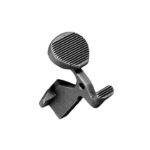 The raised platform is designed to automatically position your trigger finger properly on the trigger enhancing consistent and accurate trigger pulls.